Some local governments across the country are exploring strategies for reusing polluted water in their communities to improve water conservation efforts. As demand for water increases in Spring Hill, Tenn., local officials are currently developing a plan to convert treated wastewater into drinking water, according to the Brentwood Home Page. Spring Hill’s plan is to mix the treated wastewater with river water, and then send that water to another treatment plant. Water safety would be ensured via membrane filtration and ultraviolet light. Spring Hill already uses wastewater to irrigate golf courses and the community garden, the Home Page reports. But since drinking water is another matter entirely, city officials said in a statement that they are deliberately moving the process along slowly to increase public confidence in the technology over time. Miami-Dade County, Fla., is working with power utility company Florida Power & Light to use treated wastewater to refresh the company’s aging nuclear canals, according to the Miami Herald. Miami Mayor Carlos Giminez had proposed the idea in January to both reuse a majority of the county’s wastewater as well as to help the utility out. The proposed facility that would treat the wastewater would be able to treat up to 60 million wastewater gallons per day. The plan isn’t without its difficulties, though. 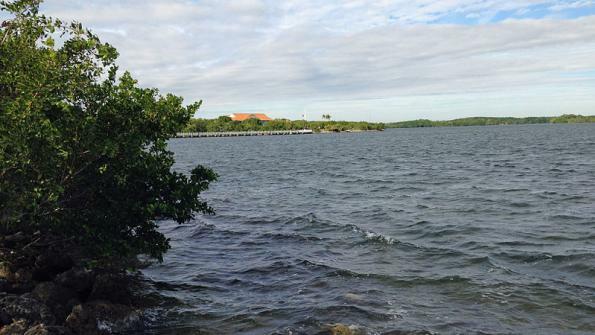 Environmentalists have criticized the plan, saying it could increase pollution in the nearby Biscayne Bay, per the Herald. Moreover,the county has allowed the project to move forward for now without having to meet water standards. Santa Monica, Calif., is currently in the midst of building infrastructure that will recycle stormwater runoff, NBC Los Angeles reports. Once completed in August, downtown Santa Monica runoff would be diverted to a 1.6 million gallon water tank and then be piped to a treatment facility. Known as the Santa Monica Urban Runoff Recycling Facility (SMURRF), the facility was created to handle runoff from sources other than rain, per NBC Los Angeles. Once the runoff reaches the facility and is treated, it would be used for toilet flushing, recharging groundwater supplies or for irrigation. "We hope this becomes a poster child for other cities," Santa Monica City Engineer Rick Valte told NBC Los Angeles.